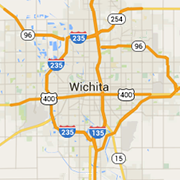 Tour Wichita area bars, night clubs, pubs, bars, dance clubs and breweries here. You'll find live music, sports bars, dancing and much more. Wichita's ultimate man cave. Cold beer, your favorite sports, great food, and the friendly Twin Peak Girls!